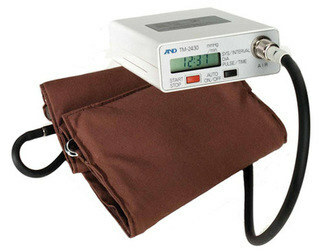 The CA850 Series 4audiometer is the definitive industrial sceening audiometer. 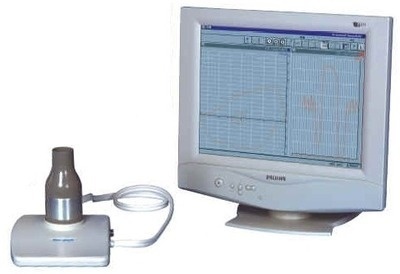 It is designed to meet all current and future audiometric screening requirements and will automatically measure, record and categorise hearing levels in the most effective manner possible. 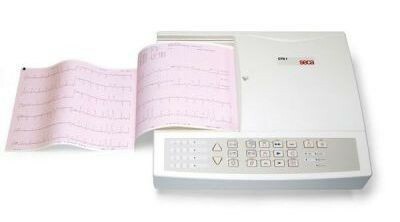 Utilising USB technology, the CA850 Series 4offers comprehensive results options. Archive quality prints, an internal database and a bi-directional PC link facilitate all requirements. 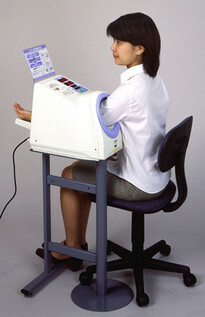 The instrument can also be supplied with Amplivox Audibase PC software for statistical analysis requirements. The Amplivox PC850 is an automatic audiometer that integrates with a PC to provide a comprehensive and pro-active audiometric facility. With a unit weight of just 715g, the Amplivox PC850can be transferred from location to location with ease.The Amplivox PC850is a cost effective solution for the provision, storage and management analysis of audiometric test results. The ASRA Audiometer employs modern electronics, coupled with continually developing software, to provide a unique range of facilities in a user-friendly package, for progressive occupational health professionals. Customer driven software upgrades are available annually to expand the features available and to ensure each Asra is kept totally up to date. Installation and training are included with UK deliveries at no extra cost and a comprehensive warranty and support package is available to ensure customers continue to enjoy the benefits Asra offers, for years to come. The Asra utility program adds the following facilities Production of recall lists showing name, ID number, audiogram date, recall date, and previous result categorisation, for any period in the future. Production of test lists containing the same information but based on a previous time range and selected by audiogram date. Statistical analysis of audiograms found during any search sequence by category with the option to print it out e.g. annual statistics. Production of a "Word" mail merge file containing audiogram information selected by date and category to facilitate the generation of referral documentation. Trend analysis search, which calculates annual loss figures to help identify those suffering accelerated hearing loss. The computer has to have a free USB port, to link with Asra, but does not have to be physically beside it. We also supply the ASRA OSICUS. The Zoll AED Plus® Defibrillator does more than just defibrillate, it ensures, with audible prompts, that infrequent rescuers respond accurately & appropriately during a sudden cardiac arrest. 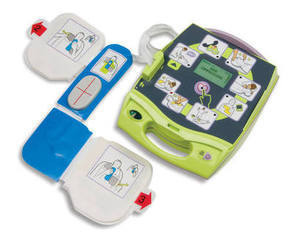 It has a one piece electrode that measures the rate & depth of chest compressions during CPR. Graphic and audio prompts instantaneous feedback ensuring rescuers perform the most effective CPR possible. By now, we're sure you have seen or heard about the NICE guidelines published in August In case you haven't, these essentially advise that blood pressure readings in a surgery should only be taken as an initial guide to a patient's blood pressure, and that the true picture should be taken from either 24-hour, ambulatory BP monitoring or home monitoring using a BHS-validated blood pressure monitor. See the NICE website (www.nice.org.uk) for more details. Elevated cholesterol and lipid levels are important indicators of cardiac risk. 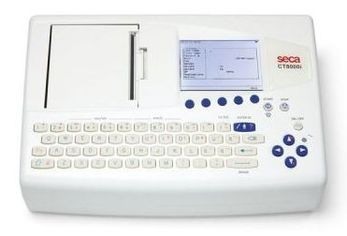 Now you can perform on-the-spot testing for these and other risk factors with one convenient portable and accurate whole-blood test system (Cardiochek PA).This machine is for professional use. 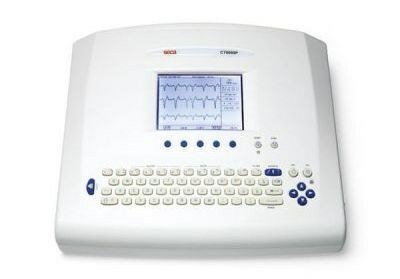 The professional CardioChek is less invasive too the patient, more than one test can be carried out with one sample of blood and also is cost effective. It is now recommended that Cholesterol and HDL should be tested together to obtain the ratio. (please see Duo test panels price list). 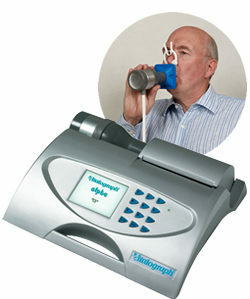 Offers immediate lipid testing for face to face counselling and education. Automatic printing for immediate record-keeping. PLEASE NOTE. TIPS ARE NOT INCLUDED IN PRICE AND MUST BE PURCHASED SEPERATELY. PLEASE CALL FOR FURTHER INFORMATION. 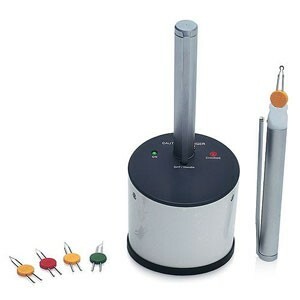 The Elemental Cautery system features a rechargeable power supply and an exceptionally compact foot-print on its desk charger making it ideal for surfaces where space is limited. The hygienic design ensures that there are no difficult areas to clean and the unit is very simple to use - plug in, charge and use. 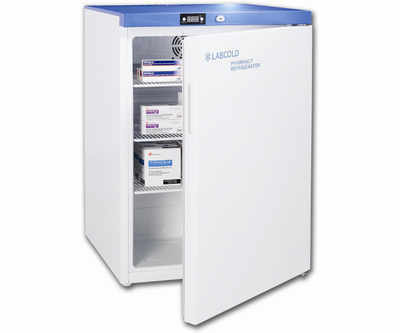 A professional 150 litre under bench pharmacy refrigerator powered by the Labcold IntelliCold™ controller. Designed for the safe storage of cold chain pharmaceuticals, this refrigerator helps busy professionals meet regulatory requirements laid down in the DH Green Book with an easy to operate intuitive four button controller and 13 month temperature data storage. This data can be downloaded to a free SD card (available when the warranty is registered) and stored on a PC or Mac. 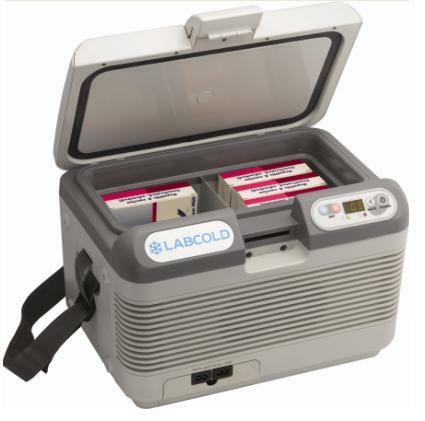 Reliable and robust, this refrigerator is engineered to meet the demands of a busy practice or pharmacy and is backed by the Labcold FREE 5 year parts and labour warranty. 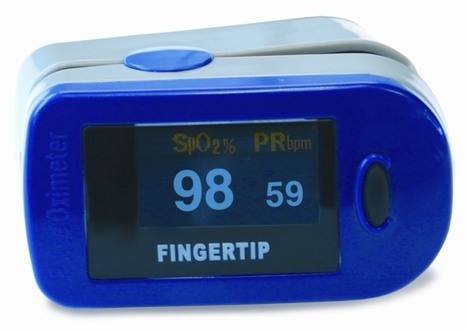 A self-contained Digital Pulse Oximeter that is ideal for spot-checking or short term monitoring of patients in a number of environments. Designed with an integrated finger clip sensor, Nonin's Onyx packs a powerful electronic package into a compact, 2oz (62g) size. The convenient size and an easy to read LED display provide numerical values for functional SpO2 and pulse rate, making it an ideal choice for healthcare professionals. LED display flashes once per second to indicate low battery. Weighs just two ounces (62g) with batteries and is comfortable to wear around the neck or in a belt carrying case. 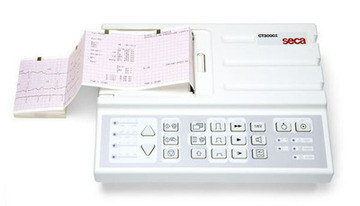 Dedicated for use with the Seca range of ECG machines. 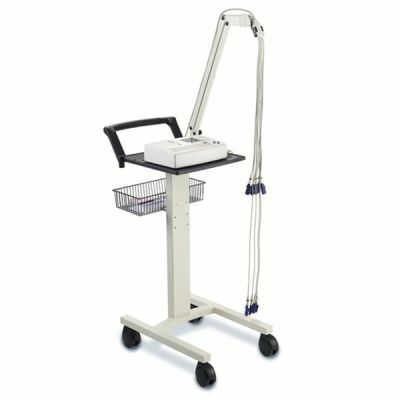 Spring loaded arm for control of patient cable and storage basket for electrodes and paper. 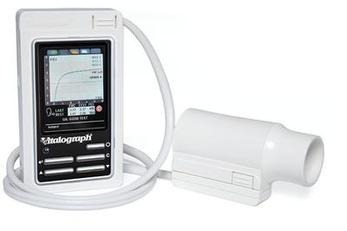 The Vitalograph Pneumotrac is an excellent spirometry choice when long-term storage and analysis of patient results are essential. 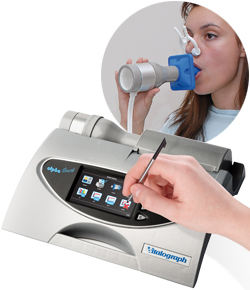 It offers over 30 configurable parameters and storing and trending of test results.The Vitalograph Pneumotrac features sophisticated Spirotrac® software and the unparalled accuracy of Fleisch pneumotachograph flow measuring technology.